Time really flies! A month has passed since I wrote here before. I don’t know about outside Japan, but it seems alike here, people always love residents in forest such as rabbits, bears, squirrels, deers, hedgehogs and owls. 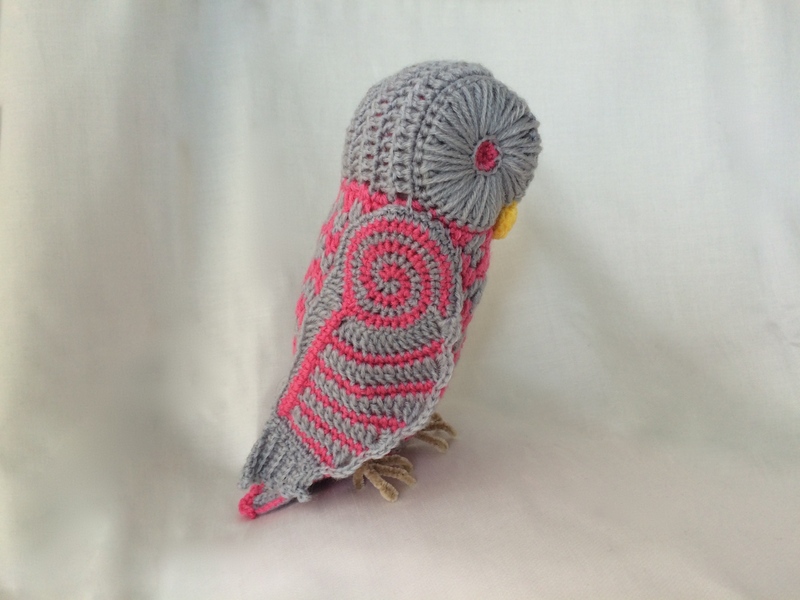 So as I.
I was always thinking about crocheting this natural, psychedelic and wise bird , but didn’t come up with the idea how I start. One day I suddenly notice that owls’ eyes seem to me like round-sliced something. I started that point and finished this pattern. And it was so lucky to me to recall a wonderful pattern of “mushroom” once published by chi-sa-ko, the owner of blog named “Crochet a little” . and you may realize that the mushroom’s pileus texture is very close to what it really is. 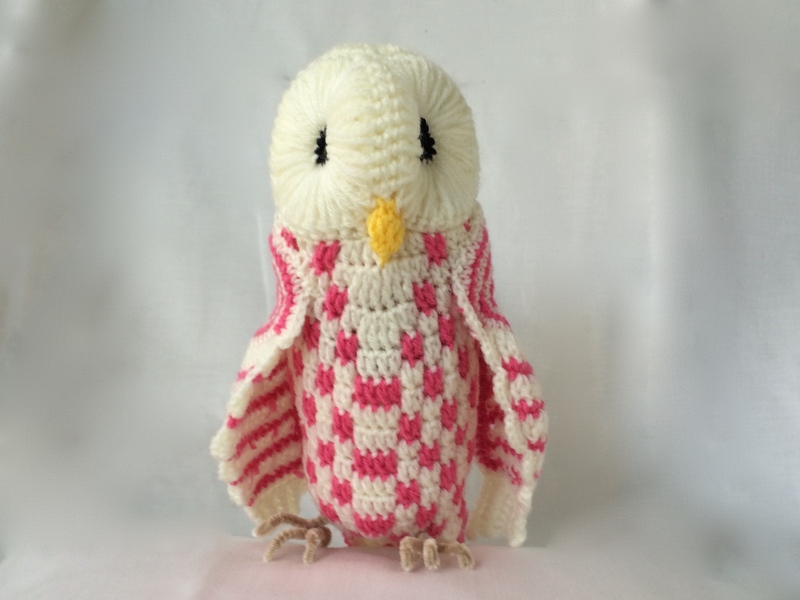 I recalled this when I started to make an owl and wanted to use this idea for it. I’ve never seen like this before her pattern, so I thought that was her original idea. That means I need her permission to use it for my works. I mailed her, and she was SURPRISINGLY helpful and soon allow me to use it. I really thank you chi-sa-ko, your kindness and understanding. And finally I managed to finish the pattern, having 36 pages of charts, written pattern, photo instructions. This time the work get little complicated and this is the reason the pattern requires such amount of pages. I’m wondering whether I had expressed something psyche touch in it.